Drawing on America's Past: Folk Art, Modernism, and the Index of American Design, National Gallery of Art, Washington, 2002-2003, no. 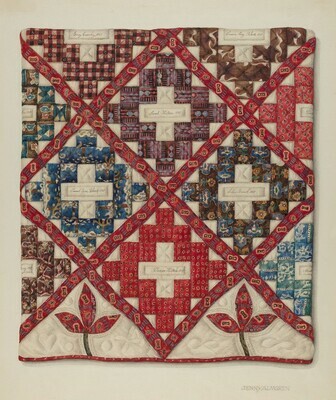 45, as Caroline A. Lusk's Album Quilt. Drawing on America's Past: Folk Art, Modernism, and the Index of American Design. Exh. cat. National Gallery of Art, Washington, 2002-2003: no. 45.